Mysthaven - Beach House in the Woods! Our vacation home is located in a quiet, ocean-side community near Newport, OR, just 3 miles south of the Yaquina Bay bridge. The ocean view from the house is limited by the surrounding trees, but just a short walk (200 feet) through the forest will take you to a breath-taking expansive ocean view. 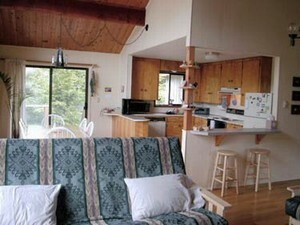 The surf is close enough it can be heard from the house, and the private beach access is an easy 7 minute walk. It's the perfect blend of forest and ocean! High-beamed ceilings, open floorplan, easy beach access, CDs, books, games, puzzles, and coloring books. Mysthaven is a beautiful place in a terrific location. We could go down to the semi-private beach easily and enjoy the sand and surf. We used it as a central location to visit other sights in the area and always had a comfortable and welcoming environment to come back to after a long day of sight seeing. I highly recommend Mysthaven as a wonderful vacation spot. As always we are counting the days to our trip to the coast in July (2012). Mysthaven has become "our place!" It was the first vacation we took as a couple, and it will be where we spend the first few nights of our honeymoon. 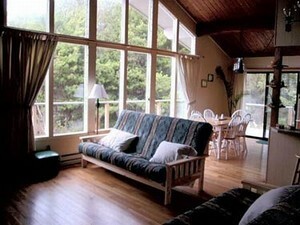 We have stayed at Mysthaven 2 times and are planning our third stay in June 2012. 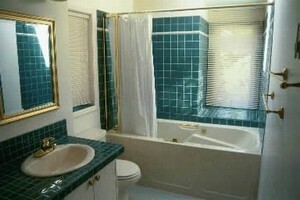 This home is by far the cleanest and most convenient house that we have ever rented. 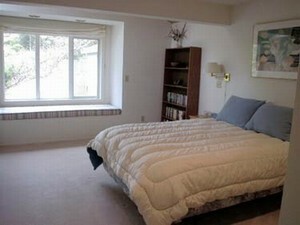 It is located in a safe, quiet community which we enjoyed taking walks through in the evenings. The mostly private beach is only minutes away and has plenty of sand for building castles and digging moats. As parents of small children, I appreciated the fact that the owners keep a high chair available and the yard has a large deck for the kids to play on. The city of Newport is a short drive away as is the Oregon Aquarium and the Hatfield Marine Science Center(free admission!). We are planning on visiting McMinnville, less than 2 hours away, on this trip to try out the new waterpark at the Aviation Museum. My wife and I stayed here for a romantic getaway and it was idyllic. 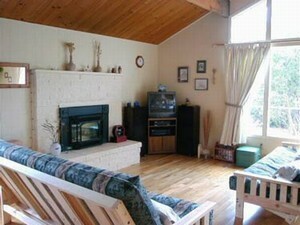 Mysthaven is pleasant and perfectly located near the ocean and town. We stayed at other area hotels and especially for the price, I couldn't ask for better. We're making it a tradition to stay at Mysthaven from now on. 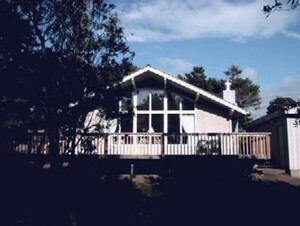 I had the privilege of staying at Mysthaven for close to three straight months at the end of 2003. It was truly a wonderful experience. The home itself is more than accommodating in that everything you can think of is there, from candles to tools to games and videos. The house was warm and cozy even during the amazing storms that I experienced in November and December. With a flick of a switch, there is a toasty fire to warm your soul, and from the safe confines of the living room, you can watch the clouds and rain, or even the stars and moon, through the floor-to-ceiling windows. There is a huge deck which I did use to soak up sun and read a book while enjoying the sea breezes. 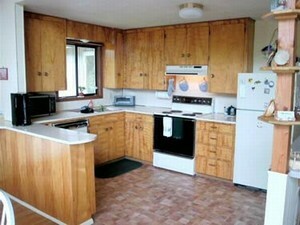 There were more than enough linens and towels, and the kitchen lacks nothing. Another great feature for me was having a roomy garage to keep my car in. The location of Mysthaven is also great. While it does not have a panoramic ocean view, you are steps to the ocean when you want to see it. You can hear the roar of the ocean constantly from Mysthaven, especially during high tide. The private beach that goes with the neighborhood is unbeatable. I walked my dog daily for miles in both directions and rarely saw another person. And even the neighborhood itself was nice in that there are other beautiful homes to stroll by, and the few neighbors that are there on a daily basis are great to get to know. My experience at Mysthaven was so perfect that I ended up buying my own home up here about 10 miles south! But if friends or family are coming to visit, I will be checking on Mysthaven's availability immediately. I would go back to stay there is a heartbeat. Feel free to email me with any questions or concerns you might have regarding a stay on this property. I think the ONLY downside of Mysthaven is that all visits must come to an end! Be sure to book a long stay!! Superb! My wife and I spent five days in Mysthaven for our honeymoon. The owner was very informative and helpful. She was also very prompt in corresponding via email. My wife Lisa and I have a wonderful time at the house and in the surrounding area. I seached for a long time before choosing Mysthaven and it was by far the best rental for the price. The house had everything we needed from kitchen wares to linens to charcoal for the BBQ. We will definately go back again. There is so much to see and do at the nearby beach and in the surrounding area. A definate 10! 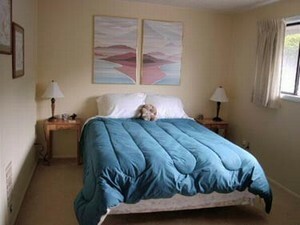 <U>Please note</U>: A $50 cleaning fee is required in addition to the following rates: Nightly Rates: 1-2 People = $90 (+ $10 for each additional person) Weekly Rates: (Nov-Feb Only) contact owner for winter special for stays of a week or more. Deposit: Half of the total is required in order to reserve dates. Balance is due 15 days prior to check-in. I will then send you a packet with instructions, map, key lockbox code, etc. If you have anymore questions, please contact me - thanks! Cancellations and Refunds: 30 days notice is required for cancellations. Other Fees: First-time renters will be required to put down a $100 security deposit.